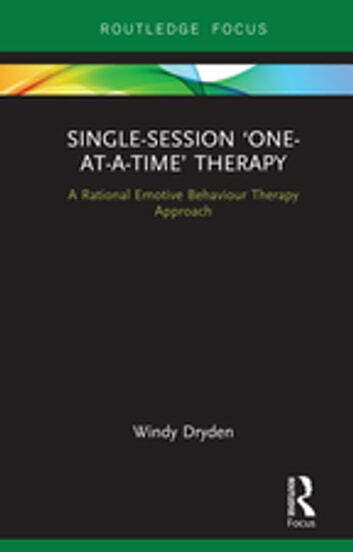 Single-Session ‘One-at-a-Time’ Therapy: A Rational Emotive Behaviour Therapy Approach details a specific approach to Single-Session Therapy (SST) known as ‘One-At-A-Time’ (OAAT) Therapy and shows how this can be implemented from a Rational Emotive Behaviour Therapy (REBT) perspective. Windy Dryden argues that OAAT Therapy is a time-efficient, cost-effective means of providing help according to need. 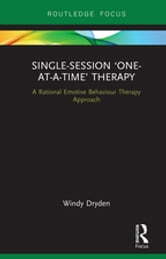 Single-Session ‘One-at-a-Time’ Therapy outlines an innovative and experimental approach to improving mental health and will appeal to psychotherapists and counsellors looking for an accessible and authoritative guide to brief therapeutic work.